Seresto Flea collar is considered as a superior product in pets flea treatment and prevention category. When compared with other flea collars available in the market it just outranks in every aspect. We with out indepth review of seresto collar you will be able to know the pros and cons of this product as well as what benefits your dog will enjoy if you buy this flea collar. How Seresto flea collar works? 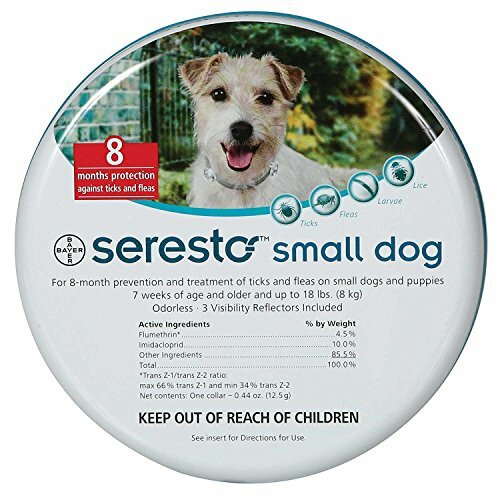 Seresto provides a breakthrough in flea and tick protection for dogs up to 8 months by putting it in top spot apart from other conventional flea and tick collars. It offers the performance of a topical with the convenience of an easy-to-use collar on your dogs. If a tick is repelled from this Seresto flea collar, then it can't attach and transmit microorganisms that cause diseases. 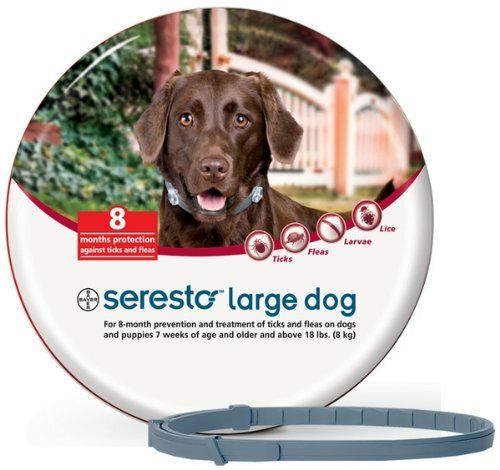 What makes the Seresto flea collar as a top rated flea collar? While majority of flea collars in the market or grocery shop only repel the fleas around the neck of the dog or cat. They will not provide a flea protection to your pet other than neck. With its innovative and sustained release technology it does both repels and kills fleas and ticks at ease and also continues to prevent re-infestations for up to 8 month. Seresto flea collar is a non-greasy, odorless, and easy-to-use flea collar for dogs and puppies from 7 weeks of age and older and over 18 lbs. This flea collar is water resistant and remains effective even after monthly bathing, occasional swimming. or after exposure to rain or sunshine. Large collar is 28 1/3" long and is for dogs over 18 pounds. Collar can be cut to fit smaller necks. 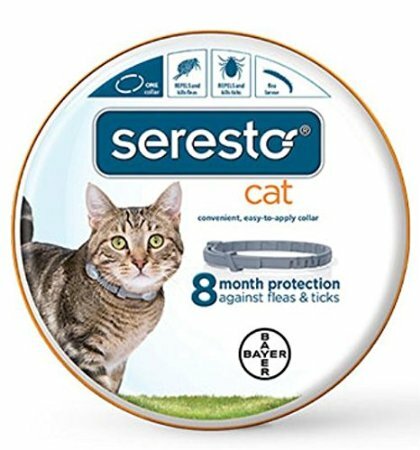 Seresto also provides 8 month prevention and treatment of flea and tick collar for cats and kittens 10 weeks of age and older. Who needs Seresto flea collar? If you want to stop the flea infestation and provide flea treatment that doesn't hurt their dogs. It contains Active Ingredients such as Imidacloprid and Flumethrin that are recommended for dogs and puppies at least 7 weeks of age. Imidacloprid is the ingredient that kills adults fleas and flea larvae. Flumethrin is the ingredient that repels and kills ticks. Also, it kills the larvae and a younger stage of the tick called the nymph. Do not use the container of the flea collar to store food or any other item. People have shared their experience after wearing Seresto flea and tick collar literally the fleas were dropping off within a week and found the dead ones around. Although the flea collar will keep the fleas away from your pet but you will have to ensure your house is free from fleas and ticks by using either flea spray or flea bombs. so that your dogs and cat will not get reinfected with fleas again.